to cause the Firebird server to crash with a NULL pointer dereference. Please test it only on your own servers to discover injection flaws. What roles is user able to use? 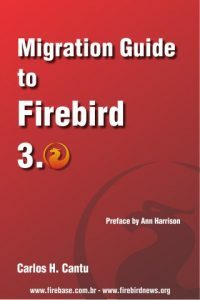 There’s an article on the Firebird Documentation web-page about Firebird File and Metadata Security. Since this is an interesting topic to our customers, I took the time to translate it to German. The article describes the fundamental problems in securing network connections. One of the biggest problem is key management. Since the Firebird server is usually controlled by and installed at the client’s site, you don’t have any control over it. So, theoretically, someone could always build his own Firebird server to spy on the password. But that’s only one of the problems discussed. Many thanks to Geoff Worboys, the author of the original article, and Paul Vinkenoog for publishing it on the official web-site. Firebird has some funny ways of handling passwords. The maximum length of passwords that is evaluated is 8 characters. Every character after the 8th is silently ignored. That’s especially funny because the ‘default’ password for a Firebird-installation is ‘masterkey’, which has 9 characters. You can, however, successfully log in to freshly installed Firebird-servers providing the password ‘masterke’. I’m working with Interbase and Firebird for more than four years and just now realized that when a co-worker at our company found it out while learning SQL. The only program that I know that makes note of that is gsec, which prints a warning when setting the password to something longer than 8 characters. The other day another security issue (this sort of thing happens to the best of them) in Interbase that was fixed in January in Firebird already.